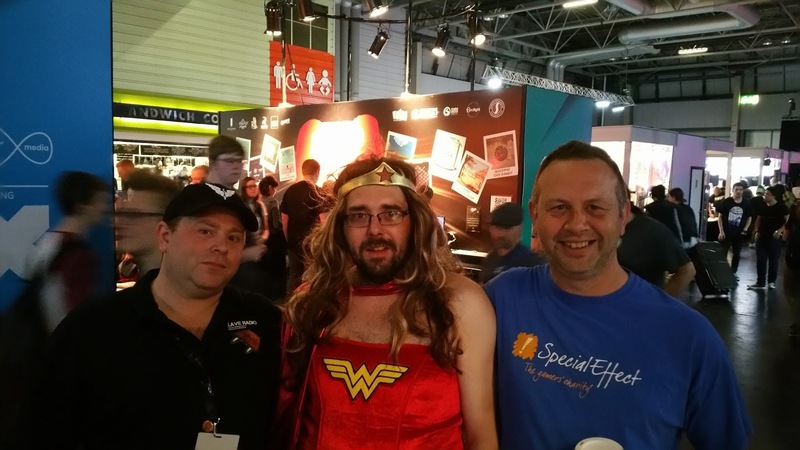 On Saturday I was finally able to browse the show floor properly with some fellow commanders and we have a fun recording of them along with Barry from Special Effect, a gentleman who walked from Bristol to EGX for Special Effect and ‘Wonder Woman’. Along with that I also went to the Planet Coaster Developer session. Naturally I was also at Elite Meet though I will save my thoughts on that for the main show, although here’s a most disturbing video of the shenanigans that occurred there! 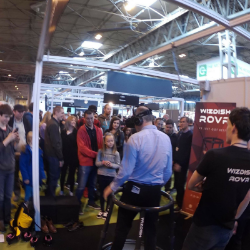 On Sunday I was with Commanders Kerrash and John Whitehouse and we spent the day exploring some of the retro games (naturally including Elite on a BBC) and some of the VR Experiences on the Show floor. We have interviews with MVR Ascend who are producing a Wireless VR Rig and finally an interview with Katie Goode from Triangular Pixels who’s game Unseen Diplomacy gave me one of the best VR Experiences I have ever had. Today I only had an hour or so at EGX since I was working, but I was very fortunate in that I bumped into a fellow Commander almost as soon as I entered the show and he very kindly shared his experiences and highlights of EGX with us. Following that I had the opportunity for a hands on demo of Battlezone in Playstation VR. Finally I stumbled across what I feel could be a gem in the show with the WizDish ROVR who can be found next to the FIFA stand in Zone 3. Please remember that all of the audio was recorded in a noisy environment so I will apologise in advance for any audio issues! An exhausting but brilliant day at EGX. I record some chats I had with people at the Elite Dangerous booth and whilst walking around the show floor. Further here are the links to Frontier and Introversion’s Developer Sessions at EGX where they made some pretty massive announcements! 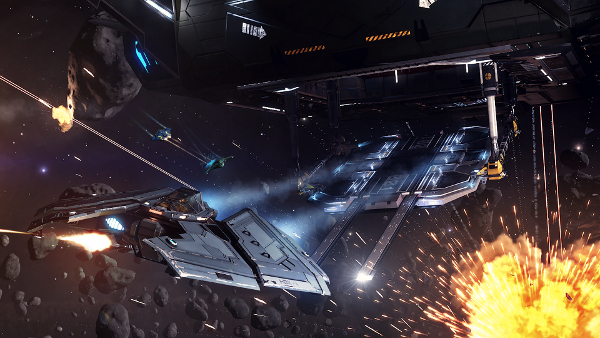 Its Mayhem in Elite and EGX is coming soon! 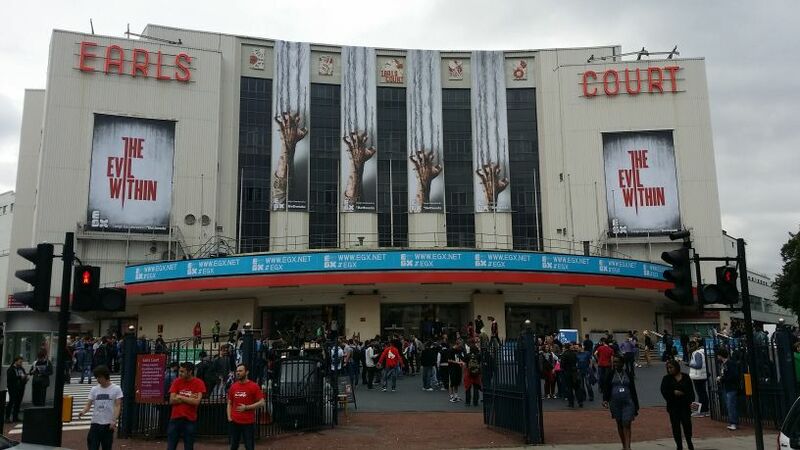 Fozza and Lisa check out the EGX (formally EuroGamer Expo) at Earls Court in London. 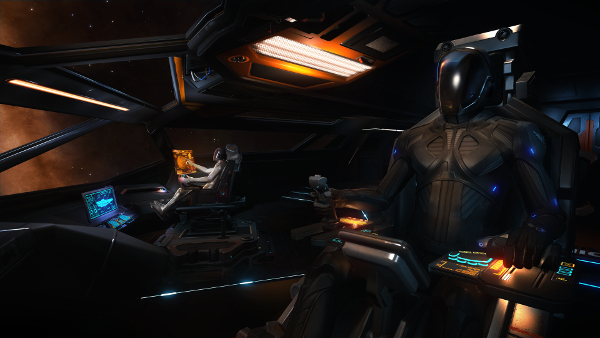 David stops by to talk about 30 Years in the industry, Elite , and the latest from Elite Dangerous. We’d also like to give a big shout-out to the members of the Elite community who made the interview possible by helping us arrange for some great recording equipment. Thank you. Download the episode directly from here .